Parties are the lifeline of the direct sales industry, so keeping a full calendar year round is critical to your long-term business success. But how do you Book Parties to keep your calendar full? 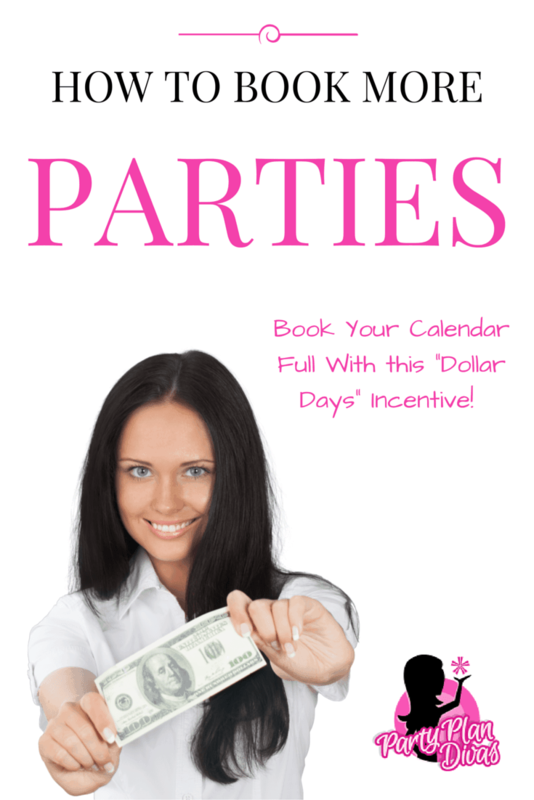 One idea for Booking More Parties is to have a “Dollar Days” incentive! Dollar Days work great during the Summer months which are known for being a bit slower than the rest of the year. Read on to learn how to run your own Dollar Days Incentive! The way that the Dollar Days Incentive works is you choose one of your best selling products that retails for more than $31.00. You can also create a product bundle or basket if you do not have products over that amount. You want the product to be something that people really want – and something that will be a great value during Dollar Days! This is also a great way to liquidate inventory you may have on hand. Since you will be booking several parties, though, you want to make sure it is not something that you only have one of or something that may be quick to sell out. During the month of the incentive your Hostess can book her party on ANY day of the month that she chooses (or that you have available) and she can purchase your Dollar Days item for the date price. For instance, if she books on the 5th, she can purchase the Dollar Days Item for $5.00 with her qualifying party; if she books on the 12th, she can buy the item for $12.00, and so on. This incentive only applies if her party “qualifies” – which you can set the qualifications for. For example, maybe a qualifying party is $350 in sales with one Party Booking. This will help you to offset the cost that you may have to pay to cover the additional expense of the Dollar Days Item. Let’s say your Dollar Days Item retails for $39.00. Hannah Hostess books her party for June 15th. You are at a 25% buying commission. Your qualifying party for the Dollar Days Incentive is $350 in sales plus one party booking. $87.50 – $14.25 = $73.00 total profit + at least one new booking. Even if Hannah booked on June 1st, your cost would only be $29.95 to get a $350+ party plus one new booking. The beauty of Dollar Days also is that it allows you to “front load” your month – meaning you can book up the first few weeks of the month so that the additional bookings can still be held within the same month – and the same incentive – quickly filling your calendar full! Dollar Days is not an incentive you would want to run all the time of course because you see it can cut into your profit slightly. While I believe we are in the business to make money – not spend it – I think Dollar Days is a great way to fill your calendar, secure those bookings, meet new customers and more. It is also a great way to rebook past Hostesses who already know you and love you and is a great way to exude customer care. 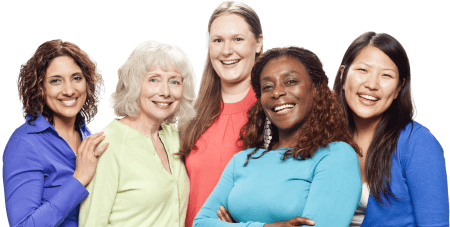 Remember to do a great job Hostess Coaching your Hostesses, and also encourage outside orders to make sure each party qualifies! If you think about the long term benefits of each new Party Booking, you are sure to see how beneficial the Dollar Days Incentive can be!